Most people do not believe me if I tell them I live and travel away from home for just 10 Euro per day. Probably you belong to one of them now. But I think you may change your mind after reading my brief introduction to independent travel. I live a sustainable independent lifestyle for some years already. I do not endure discomfort, on the contrary I can have even more than at home whenever I wish! You can enjoy great travels with just 10 Euro of additional cost to your life at home, long-term and sustainable. With a few Euro more you can even have a higher level of comfort – I will show you why, when, where and how to. If you come from a high cost country like Europe or USA & Canada it is very easy to travel for just 10 Euro per day difference to home. It works even if you live in more expensive areas of medium or low-cost countries – like Shanghai or Beijing in China, Singapore, Sao Paolo in Brazil, etc. The key measure in such a case is the well-known leverage of relative cost level, i.e. using the cost difference between your expensive home country and your travel destination. The same if you travel in an area which has similar cost of living as yours or even if you are coming from a low-cost country you do not spend a fortune while being on independent travel. So the regional imbalance is just one factor – there is more to it then regional imbalance, just have little patience with me! My current place of choice for living a major part of the year is Shanghai, as it is the most exciting place in the world at the moment (well this is another story which I will tell you on another day). But it gets very uncomfortable in winter and very hot and humid in summer, so at those times I prefer to be on the road. And you know what? I can actually save money while not being in Shanghai! While I am writing these lines, I am sitting in Chiang Mai, Thailand on the Campus of Chiang Mai University enjoying a delicious Chalatte (internationally called Bubble Tea, i.e. milk tea with tapioca) for 20 Baht (0.50 Euro). The temperature is around 20 degree, the sun is shining through branches of trees. Around me there are students working hard on their assignments. And I am enjoying a great time and a calm moment to write all this. No, I am not studying here – I am just hanging out on campus because I decided this after today’s breakfast that I need to get away a little bit from the touristic area in the historical centre of Chiang Mai so I rented a bike for 50 Baht (1.25 Euro) to cycle it 6km uphill to the University Campus. Just two days before that I decided to leave Bangkok, because I had enough of crowded and noisy Khao San Road, the backpackers district of Bangkok. The the direct flight Bangkok -> Chiang Mai I booked online the night before – at only 50 Euro with Air Asia. 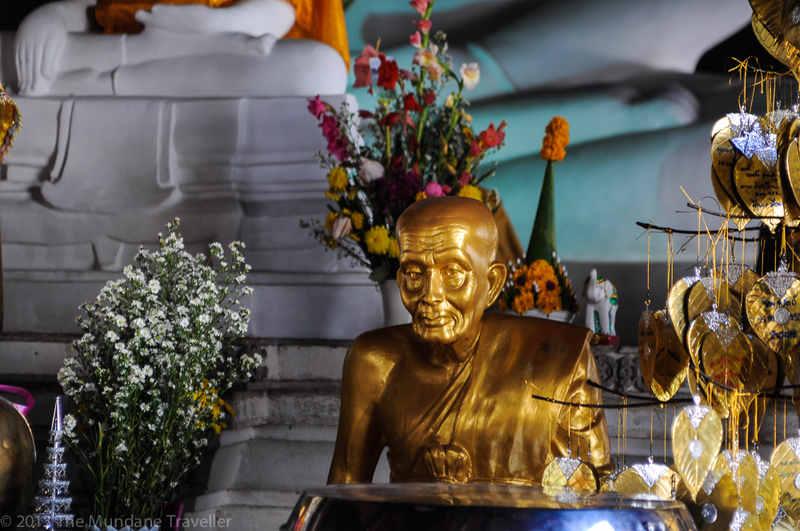 How did I get to Bangkok? Also with a cheap direct flight from Shanghai with Sri Lanka Airlines for 170 Euro instead fo 350 Euro for all other airlines, again found it on Kayak, a great meta search engine for flights, and booked just a week before – great flexibility, no waste of money or loss of time due to layovers. Basically, I am living the 10 Euro per day on the road lifestyle just – right – now. And now I am going to tell you how. Before I begin I need to put you into the right mindset of independent travel. If you are a person who absolutely refuses to travel independently from tour groups and have strong prejudices about the discomforts of independent travel read this first. It is not my job or intention to turn you around or to convince you that you are wrong – old habits and fortified opinions die very hard – but I might just put some food for thought into your head. Nobody is born as an independent traveller, it is a mix of upbringing, environmental influence, through process of months, sometimes years one gets to enjoy independent travel. But often it takes just one successful independent travel, then you get hooked. I must admit – and I am surely not the only one – that independent travelling is addictive. After you did it once, you want to do it again and again! Just read it and refuse it if you want – for now. Let me take away some of your doubts and worries first, then I show you the assumptions and prerequisites. Afterwards I may delight you with counterintuitive insights which go contrary to common wisdom. We’d better start with your possible fears about independent travel. …do not need carry a backpack or be a “backpacker”. You can also roll around your Samsonite trolley and enjoy a 10 Euro per day vacation. The backpack or trolley is just a tool for transporting your luggage. Of course lugging around less weight increases your travel speed, reduces time of packing and lowers other weight related costs. Furthermore a backpack keeps both of your hands free, so you can handle everything more easily like pulling out your passport at the immigration, walking on dirt roads, talk to strangers with sign language or defending yourself from possible thieves etc. But yes, you can go with a trolley and be an independent traveller. …do not need a vast array of heavy-duty equipment. On the contrary, carrying all these stuff is a real hindrance to independent travel. Think about all the gadgets you bought but rarely used like your expensive Leatherman or your last Swiss Army Knife. There is of course simple and good equipment which is light and makes your life easier, but just don’t carry too many of them with you. …do not need to sleep in dorms. Though it shaves off a lot of costs in expensive areas of travel. In cheaper areas it is not necessary to sleep in dorms as the prices for single rooms are extremely cheap, as less as 5 Euro. But sleeping at full retail-prize five-star hotels without discount or negotiation in high cost countries does not really help. And you do not have room service at home where somebody cleans your room, puts out a newspaper and fresh fruits on your desk everyday, right? “Mom’s hotel” does not count. If you are only able to sleep in five-star hotel beds you wouldn’t be reading this article. 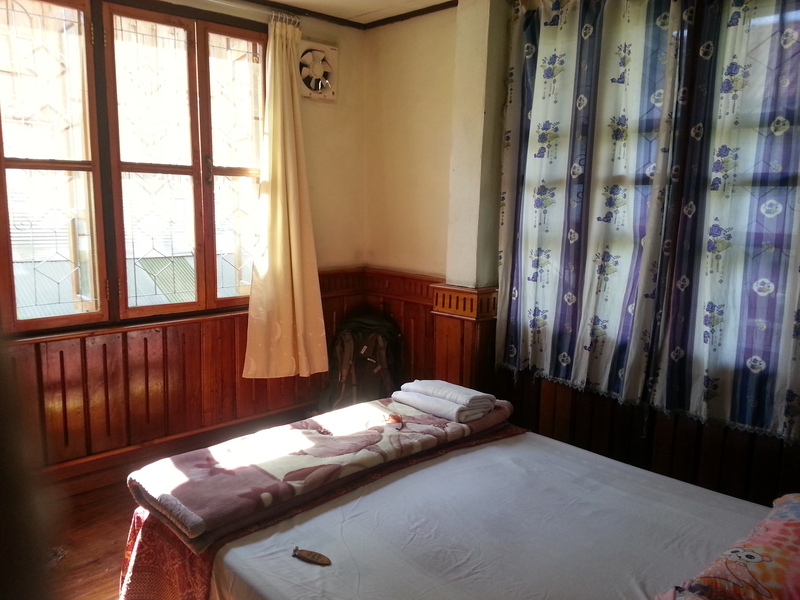 Definitely not a dorm: Nice wooden guesthouse room in Laos. …do not need to give up your home and become a rootless vagabond or a bum. You can keep it to get the important feeling of coming home, I do it myself. Of course if you do not have a home then all the money you save from not having to pay rent,utilities and many other costs associated to a home, you can all use it to pay all the transportation and accommodation costs while on the road. If you have reached financial independence keeping up a simple home is really a non-issue. So I still would recommend to have a root somewhere, even just as a contrast to “being on the road” all the time. According to happiness research this may even increase your overall happiness. …do not need to quit your job, nor do you need to be rich. At least not yet. It helps to be able to live and work from wherever you like or to be financially independent to travel how I travel. But one step after the other, it is really not necessary to be rich (I am not) because – remember what I said in the beginning? – you are travelling for a mere 10 Euro per day! It is absolutely not necessary to have a lot of money for independent travel. But more time at hand is very useful, and working independently from a fixed work place also decreases the costs by having the flexibility to use all the options available. I may put more details to these topics in later articles, but this is a first to address to the common fear of a not-yet-independent traveller. …to think outside the common opinions and believes and check it out yourself. I will repeat it below again and again – doubt everyone who tells you something is not possible, this is equally true for other life aspects but here especially for travel in other countries. Distrust them if they have not been there themselves or if they only “heard it” from someone or read somewhere. …to use all means of modern ways of organizing travel logistics and not forgetting the traditional ones, e.g. book your travels online, read other people’s blogs, call the accommodations directly instead of online booking or simply walk around in the areas where you know that there are lots of guest houses. …to have flexible mindset towards where you are going. …to have an open mind toward other cultures and different food. 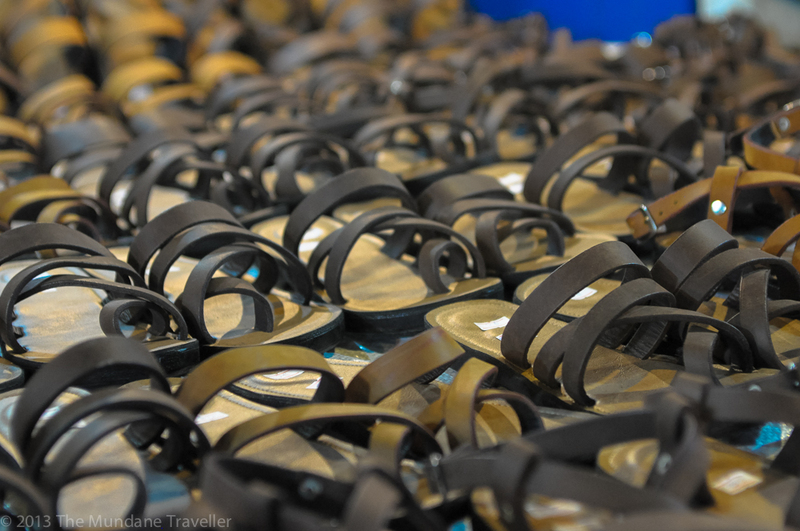 …to restrain yourself from buying things you wouldn’t buy at home. …to keep a similar quality level of eating and drinking as it is when you are not traveling. 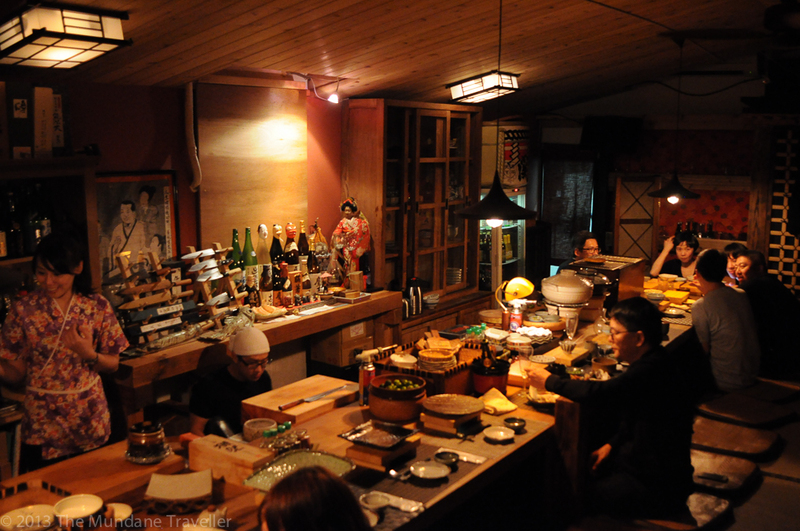 A decent japanese dining place in Tapei – and not expensive at all! I am not saying you need to go below an unhealthy level of food quality or drinks or stay at the lowest cost possible, as well as in dirty and noisy places. Just try avoiding tourist traps or just don’t start to drink overpriced champagne in Moscow at the most fancy discotheque targeted at rich russian billionaires if you do not like to drink champagne at home. Of course you can have a good champagne for cheap if you are in France where they produce this luxury level sparkling wine, you can have some Caviar near the Black Sea or drink some good beer at a local micro brewery Germany. I do not book flights much in advance. I often book only one week or sometimes even the night before. According to some people in the airline industry the ancient model of “the earlier the cheaper” or even the “last-minute deal” is outdated for years already. Prices today are (computer-)made daily by various factors and those factors change often too. So there is no cheapest day of booking. With great websites like the meta-search engine Kayak or the Smartphone App Skyscanner (for Android and iPhone) it is possible to comb through all available online options anytime and very comfortably. I usually do not have a return flight. Most people think that buying a flight ticket including a return flights is cheaper. Yes, but only sometimes. Often one-way tickets turn out to be cheaper if you go to different places afterwards. Or else you would need to unnecessarily backtrack to the starting place, which eats up the cost you save for the return ticket besides taking you a lot of flexibility – and flexibility is one of the largest leverage to lower your travel costs. Just fly home directly out of your last destination even if it costs a bit more. The time and ticket to the return flight airport can be much more costly than the few more bucks spent on a direct flight home. There is also no need for a around-the-world ticket to travel the world. Most of the times it is less flexible and more expensive to have one. For example I went around the world for just 1,810 Euro air fare at a supposedly high season June / July 2012. The Around-The-World ticket would cost me 2,500 – 3,500 Euro – price depending on the provider of the ticket – with much less flexibility. And I only decided less than 1 week before I bought the ticket to my next destination! But the graphical tools on the Around-The-World providers are very nice to play with and a good inspiration to where a plane can get you. Try those planning tools to visualize your routes, no need to buy a ticket if not absolutely necessary: Star Alliance, One World. There is no such thing as “booked out” accommodations. Only if you limit yourself to opinions of people or the few choices your local travel agent tries to sell you. You surely remember the “Oh sorry, the cheap hotel X is full already for the last three months, but we still have Y and Z Hotel”, which are of course more expensive. Do you really believe a high-profile destination like Rome really has just three hotels? Just go online and you will find one. One cautious word to online booking: Nowadays we think booking online as the only way to book accommodation – sometimes the cheapest offers are not even online! The best value guest houses are sometimes NOT linked to websites or reserve the cheaper rooms for walk-ins! When I talked to them why they are not online they just said they had enough customers and are not willing to pay the extra commission to the websites – in the end it adds up to the end consumer price, that’s you! Travel is generally safe, wherever you go. Safe of course unless you go into active war zones with combat actions. Again, do always think one more step about motivations or knowledge level of people who tell you about dangers at a destination. Like travel agents who want to sell you “safe accommodations and guided tours”. Or there are people who never travel tell you this based on “everyone say so, just read at the news”. Ask yourself who normally tells you these types of stories: people who have never been there. And what are news in the papers for? Media report news first because they are “new”, sensational and exciting to read and do not necessarily reflect the general reality. Of course you need to take precautions but generally there are not so many people out there to do you harm. Millions of people in a “un-safe zone” need to make a living every single day of their life. Are there millions of incidents everyday in that particular zone? How would people live their daily lives? If it would be so life threatening, those places would be empty by now. Therefore, unless you are a war tourist actively going into combat areas, you are generally safe. And how about theft? Just take the usual reasonable safety precautions against thieves, even in the extremely rare case that you encounter a robber, they just want your money, not your life. *Even if there is a seldom case of extreme demand of accommodations, like new years eve in Taipei, there is always a fallback option – like in this case E Shu Man, a book reading shop, where you pay for reading books and mangas per hour. They have an enclosed cubicle with a sofa, so you could sleep on their sofa for a few hours as an emergency solution. Or you rent yourself a small Karaoke room when in Asia and instead of singing you just sleep, as many people do in Tokyo when the last metro finishes at 0:30 and you are not willing to pay the expensive taxi ride home. You will never be without a place to stay and sleep. The hostel I stayed with in Taipei rolled out some extra mattresses for those who did not have a place to stay on new years eve. But even in this the most extreme day in the year everybody got something, so all 364 other days are even easier..
After giving you a glimpse of independent travel, clarifying the assumptions and prerequisites and show you some counterintuitive insights and can-do’s for the 10 Euro per day travel let’s head on to the structure of the costs – facts, facts, facts. This will be my next blog entry “Enjoy the independent travel style with just 10 Euro a day – Part 2: Where I let you look into my numbers and give you a simple tool to optimize your travel cost.” which I have already written, but due the many real life numbers involved it gets a bit technical, so I need to still make it more readable and elegant. There is even a very simple formula / model for the mathematicians and economists among you! So look forward to my next blog entry, where I proof that 10 Euro independent travel is possible and how it is sustainable on the long-term! Hang on! In the last few years I met so many people who always tell me “Wow, I really like your way of life, but…”, followed by reasons why they cannot do it, be it “not enough time”, “not enough money”, “not enough vacation”, “too dangerous”, “can’t sleep in a dorm”, “I am not a backpacker” and many more objections which generally sound very reasonable but if you look deeper, they are just based on subjective opinions, which make them what they are – just opinions. Actually those are dangerous opinions as they prohibit many people to see the world and widen their horizon. After responding to all those type of “but” verbally I felt like I could summarize all my responses and thoughts about independent travelling, and it turned out to be this arcticle above. I actually started this article by looking into the cost of my last travels, but it turned out to be a much bigger subject with many subtopics, which I plan to subsequently expand further on. Keep on challenging the impossible, fellow traveller!